The Collector's Edition includes the Insane Viking Pack which was previously only available to pre-order customers. The Linux version of the game has been removed, as Adobe AIR no longer works properly in modern Linux system as of it's support being dropped since 2011. The game developer recommends using SteamPlay's Proton feature which according to the report works flawlessly out of the box. Picture will not fit screen. 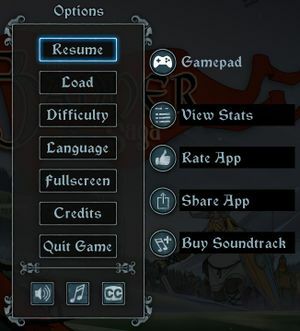 Enable Fullscreen in game options. Some animations run at 24 FPS. The game does not use mouse acceleration. Toggleable music and sound option only. ↑ 1.0 1.1 File/folder structure within this directory reflects the path(s) listed for Windows and/or Steam game data (use Wine regedit to access Windows registry paths). Games with Steam Cloud support may store data in ~/.steam/steam/userdata/<user-id>/237990/ in addition to or instead of this directory. The app ID (237990) may differ in some cases. Treat backslashes as forward slashes. See the glossary page for details. 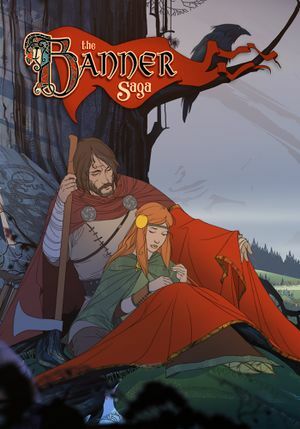 ↑ Magstroyer comments on After all that waiting, The Banner Saga is getting released tomorrow! This page was last edited on 30 March 2019, at 04:17.